Iss, a humble kitchen slave who likes to tell stories, finds herself caught up in perhaps the greatest story of them all. Little does she imagine when she stumbles on the small rebellion of Seffish, Crith, and the other dance-fighters she admires so much, how far that rebellion will spread. An ordinary soul caught up in extraordinary events, Iss soon finds herself at the heart of an uprising that threatens to overthrow the social order and reshape a world. 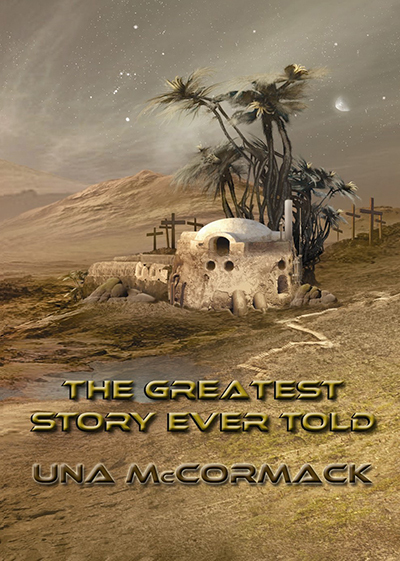 Set on a strictly hierarchical Mars, Una McCormack抯 The Greatest Story Ever Told is a breathless, stirring tale of bravery, love, passion, and the desire to be free. Una McCormack is a New York Times bestselling author specialising in TV tie-in novels. She has written novels, short fiction, audio dramas, and journalism for franchises such as Doctor Who, Star Trek, and Blake抯 7.